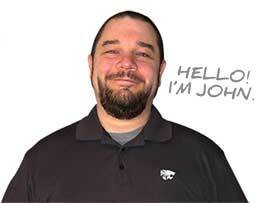 Shortly after our daughter was born, I began working almost entirely from home. 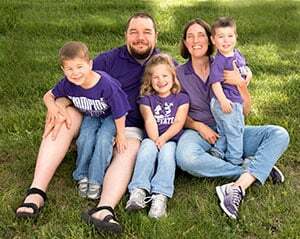 As she grew older, I wanted to know how to watch Nickelodeon without cable so she could watch fun shows like Paw Patrol, SpongeBob, and Dora the Explorer while I worked. Looking back, I’m still surprised that phrases from those shows didn’t accidentally work their way into the article I was writing. These days, we have three young children, all of whom enjoy content on Nick Jr. and Nicktoons, so we still care about how to get Nickelodeon without cable. The “without cable” part of that quest is critical. We used to have an expensive cable contract but have since cut the cord and couldn’t be happier with the $80+ we’re saving each month. Initially, it was tricky for us to figure out how to watch Nickelodeon without cable (and Disney Jr. for that matter) but eventually we figured it out and how we’re sharing all of our hacks with you. Thankfully, there are a number of streaming services that make it possible to get Nickelodeon without cable. While you can’t stream Nick Jr. online for free (at least not all of their shows), there are a number of affordable ways to watch Nick at Nite, Teennick, and Nickelodeon. Although Nickelodeon is more difficult to get than other networks, there are still solid streaming options that make it possible. If you are ready to cut the cord on your cable contract but want to know how to watch Nickelodeon without cable first, here’s how to do it. Hulu has been an answer to the question of how to watch Nickelodeon without cable for years. One of the first alternatives to cable on the market, I can still remember their early commercials, where Alec Baldwin and aliens were a welcome interruption to the Super Bowl. Hulu has grown to become one of the most popular streaming services available. While Hulu with Live TV is one of my family’s favorite ways to watch TV without cable, if you just want to know how to get Nickelodeon without cable, you’ll be fine with Hulu’s less expensive, legacy option. For just $5.99 per month, you can sign up for Hulu and watch Nickelodeon without cable. Traditional Hulu is similar to Netflix (check out our Netflix vs. Hulu guide for an in depth analysis of the two services) in that it offers access to shows from major networks. The only downside is that you have to wait 24 hours after a show first airs to watch it on Hulu. The exception to the 24-hour rule is Hulu original content, like the critically acclaimed The Handmaid’s Tale. You can watch new episodes of that right away. Hulu with Live TV is simply an upgrade of traditional Hulu. The downside to Hulu Live when it comes to Nickelodeon is that you won’t get access to live Nickelodeon content. However, if Hulu Live sounds like a good fit for all of your family’s TV watching needs, you will get all the on demand Nickelodeon content that comes with Hulu plus the expanded benefits of Hulu with Live TV. Learn more by reading our comprehensive Hulu with Live TV review. Not sure if you’ll like Hulu? You can try Hulu Live for free for 7 days totally risk-free. 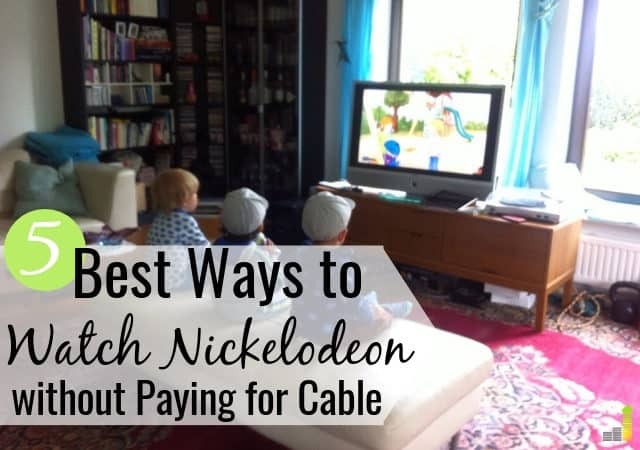 If you are looking for how to get Nickelodeon without cable (or how to get Nick Jr. without cable), you would probably be interested in other entertainment and lifestyle networks as well (like Disney Jr, HGTV, and MTV to name a few). If that’s the case, Philo may be the best streaming service for you. For only $16 per month, you can watch Nickelodeon without cable as well as Nick Jr, Teennick and lots of other great content. If you want to watch Nicktoons without cable, sign up for Philo’s premium tier for only $20 per month and you’ll get all of Nickelodeon’s channels without cable, which includes Nickelodeon, Nick Jr, Teennick, and Nicktoons. Philo TV has been an affordable streaming option since 2009 when it launched its service on college campuses. While it started as a cheap way to watch Nickelodeon without cable for students, money from investors like Mark Cuban and Facebook co-founder Andrew McCollum have grown it into one of the best alternatives to cable TV on the market. If you enjoy lifestyle and entertainment channels, including a very reasonable way to get Nickelodeon without cable, Philo TV could be the one of the best options for you. The only drawback to Philo TV is that it doesn’t let you watch popular sports channels like ESPN or FOX Sports or local channels. The good news is that you can get local channels for a low, one-time cost by purchasing a simple digital antenna like the Mohu Leaf. We bought two Mohu Leaf digital antennas on Amazon and love using them. Learn more about how to watch Nickelodeon without cable in our Philo TV review, which covers all the ins and outs of the popular streaming service. If you think Philo could be the ideal cable alternative for you, but are still a little hesitant, try Philo TV free for 7-days without providing a credit card. It’s one of the best ways to dip your toes in the streaming world. Sling TV is another popular streaming service. With years to improve its platform, Sling provides an enjoyable experience. The menu and navigation are very user friendly and make it easy to find what you want to watch quickly. Sling TV’s reliable streaming quality and intuitive design make it one of the best alternatives to cable. Unfortunately, Sling TV does not offer Nickelodeon, showing how Nickelodeon can be a tricky network to watch for cord cutters. Sling TV offers two packages – Sling Orange and Sling Blue – both for $25 per month. Beyond that, there are a number of extra packages that you can add on to customize your channel lineup. If you want to get Nickelodeon content through Sling TV, your best bet is to sign up for Sling TV Blue and add on the Kids extra package. DirecTV Now is another answer to the question of how to watch Nickelodeon without cable. It’s entry level package offers both Nickelodeon and Nick Jr plus 40 more channels for $50 per month. If you want Nicktoons, you’ll need to bump up to the more expensive “Just Right” package. For $55 per month, you’ll get Nickelodeon without cable along with Nick Jr, Nicktoons and over 80 other channels. We’ve tested DirecTV Now several times and think it delivers a pretty good user experience. Not only can you get sports and news through DirecTV, you can also get Nickelodeon without cable through DirecTV Now. Either package option gives you an abundance of content at a price tag significantly below the cost of cable. Can I Watch Nickelodeon Online Free? Many people want to know how to watch Nickelodeon for free. After all, if there’s a way to watch your favorite shows without paying for it, why not? Unfortunately, there’s no good way to watch Nickelodeon live stream online free, at least not everything Nickelodeon streams. You can watch episodes of a number of Nickelodeon shows on their website at nickelodeon.com. While not all seasons of all shows are available, it is the best way to watch Nickelodeon online free. Once you’ve exhausted all the free content on nickelodeon.com, you can purchase individual episodes or entire seasons of the shows you still want to see from Amazon. While this may not be the most cost effective way to get Nickelodeon without cable, if there are only one or two shows that you really want to watch, it may make sense for you. Can I Watch Nickelodeon on Apple TV, Chromecast, Fire TV, or Roku? So you know how to watch Nickelodeon online free, but what if you don’t want to watch Nick Jr on your computer? 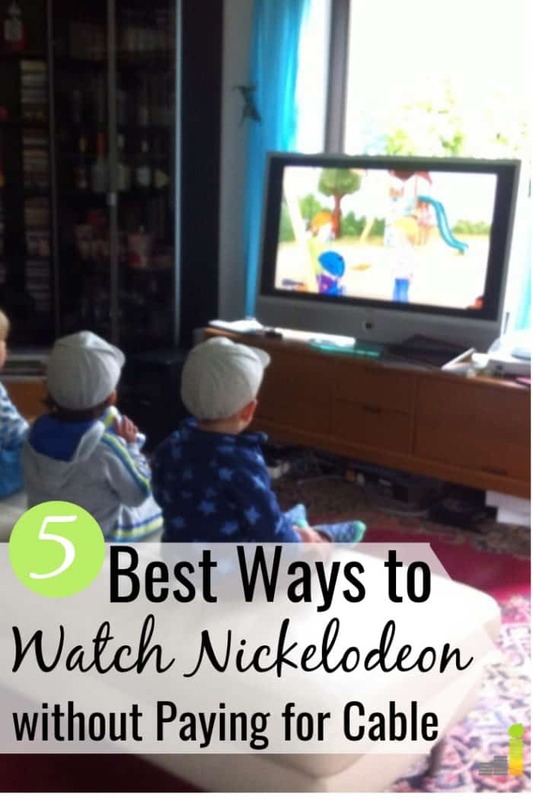 You may not want to have multiple kids crowded around a laptop screen, or you may want to know how to watch Nickelodeon without cable on a big screen. If you don’t see your preferred platform listed, keep checking. Leading streaming service providers like Philo, Hulu, and Sling TV are constantly expanding their functionality and adding more compatibility all the time. There’s no reason today to spend over $100 per month on a cable contract. You can watch Nickelodeon, Nick Jr, Teennick, and Nicktoons without cable through any of the streaming services mentioned here. If you aren’t sure which streaming service to start with, try Hulu or Philo with their free trial options. Then sign up for some of the other streaming services covered here one at a time until you’ve gone through them all. Doing so will help you find the best platform for your needs. Are you tired of paying too much for Nick Jr and other TV content? Cut the cord today and put the $50+ you’ll save each month to some other financial goal. How do you watch Nickelodeon without cable? Have you tried to stream Nick Jr online free? What other networks have kept you from cutting the cord? How much do you spend on cable or cable alternatives every month?